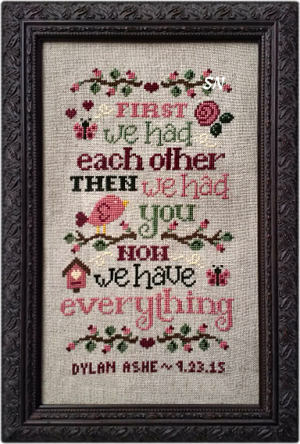 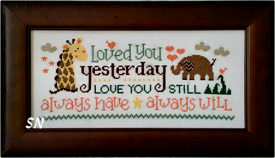 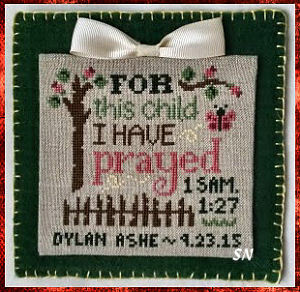 Cherry Hill Stitchery has a pair of new designs that are really cute, and might make perfect birth announcements.. Good color, simple designs with really good sentiments, they'd be easy to match colors with the new nursery if need be. 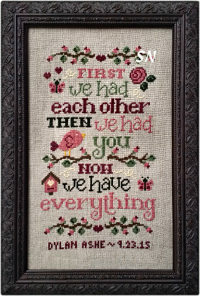 If you want to personalize, I'd figure another three inches to the height... depending on your alphabet. 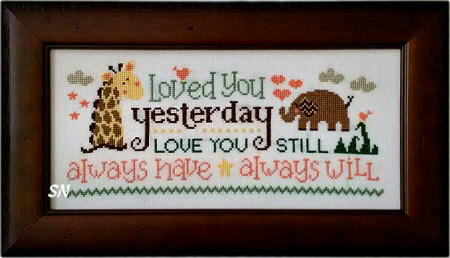 Loved You Yesterday measures approx 5 x 11 on 28ct Antique White and is coded for DMC floss.